Ties aren't meant to be worn by feisty wall street bankers and other business-minded professionals anymore. Ties are for everyone, especially wizards learning at Hogwarts. In fact, magical beings are the ones who initiated the switch. We Muggles use the necktie as a decorative accessory to signify we're headed off to engage in a busy day of paper shuffling, but coming-of-age wizards wear a tie to signify what House they belong to! Way better reasons, we think! 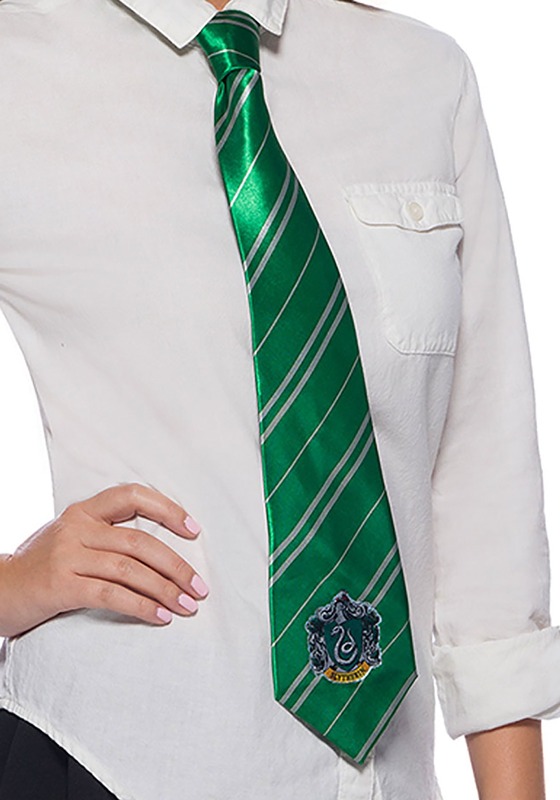 Perfect for those who want to make a fashion statement while showing their love for all things Harry Potter, this Slytherin tie recreates an equally enchanting and collegiate look. It's the perfect accessory for those who like to mix magic with the mundane and work with play! A polished accessory assembled from a silk-like material, this officially licensed tie fits everyone from children to teens to adults. It's a beautiful emerald color with a shiny finish and scholarly stripes. Of course, the iconic Slytherin emblem featuring a serpent can easily be seen on the front. Who knew that there was a legit spell to tie your tie! 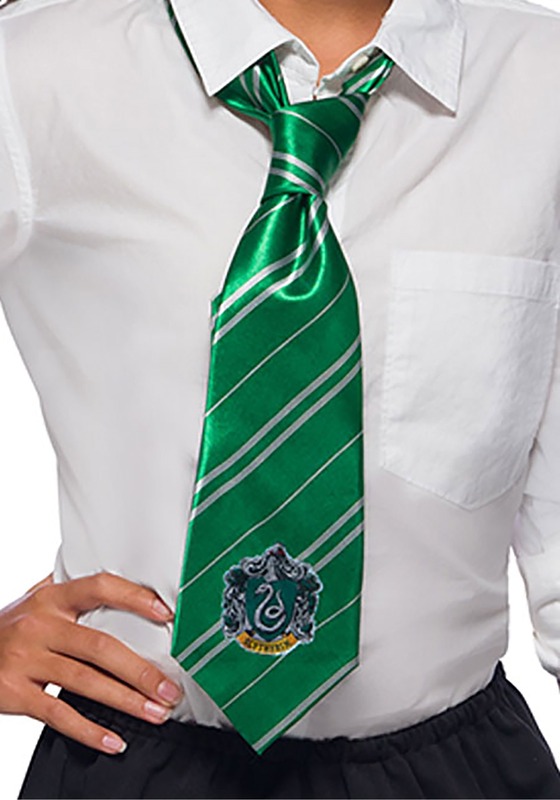 Well, until you get your wand, you'll need to manually do the job, but this tie works so well with any style of dress that you'll want to show off your Slytherin love whether you can magick it on you or not!